In acquaseria, every season: winter, spring, summer or fall, has its own charm. In the winter you can drive in 75 minutes to Madesimo where you can ski up to 3000 meters altitude. Alternative ski-resorts are Piani di Bobbio, Chiesa in Valmalenco and St. Moritz (Switzerland). 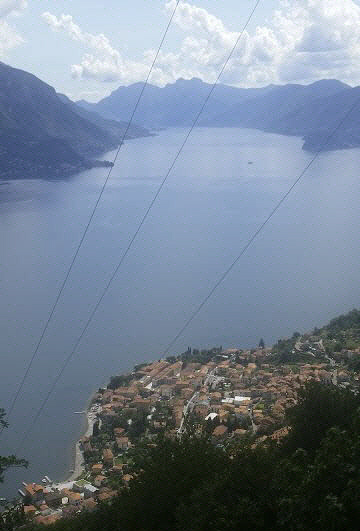 In the vicinity of our studio apartment in Acquaseria, you can make beautiful mountain hikes all year long. In spring and summer you can mountainbike through the surroundings. And water sports, including boat rental is possible as well. And why not take a swim from one of the many pebble beaches? And ofcourse Italy would not be Italy, without bistros, bars and restaurants. And when you are in for some shopping, pay a visit to Como, Lugano or even Milan. Acquaseria itself offers you six bars and restaurants. And there are also a few small shops for groceries. A large supermarket is only 10 minutes driving away. If you want to know more about all that Acquaseria and its beautiful region has to offer, just take a look a look around on the following pages. And if you have any other tips and/or suggestions, please let us know via mail@ulivo8.eu.